I love the idea of loss making us artists. 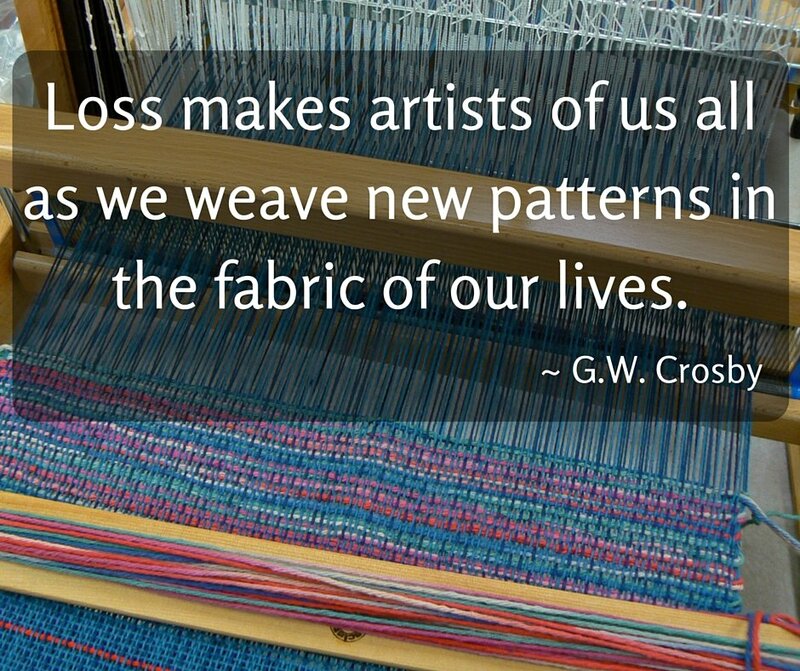 Loss is hard and painful, but imagining the recreation of a new live after loss as the work of an artist weaving a new pattern brings some comfort and inspiration to the process. We’d all rather be weaving the same of patterns we knew and loved, but if those old patterns are no longer possible, we might as well embrace our inner artists and get creative with the new patterns we weave!